The archipelago of the Hawaiian Islands includes height main islands, atolls and smaller islets in N Pacific Ocean. These islands are the outer part of an undersea mountain formed by volcanic activity. Human’s arrival has involved introduced animal and plant species, including new predators for the native species, and invasive plants and trees causing degradation and modification of the habitat. The deforestation has destroyed habitats and food sources, leading the native species, both animals and plants, to extinction. These islands enjoy tropical weather, but the climate depends on elevation and location. Tropical storms and sometimes hurricanes occur, but rainfall and drier periods alternate too, according to the side of the islands. 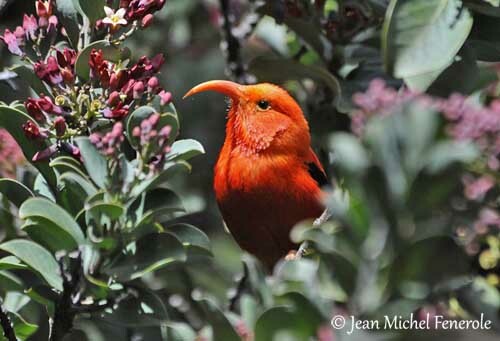 The Hawaiian Islands shelter both endemic and introduced bird species. Several native species are Endangered, due to habitat loss for various reasons.